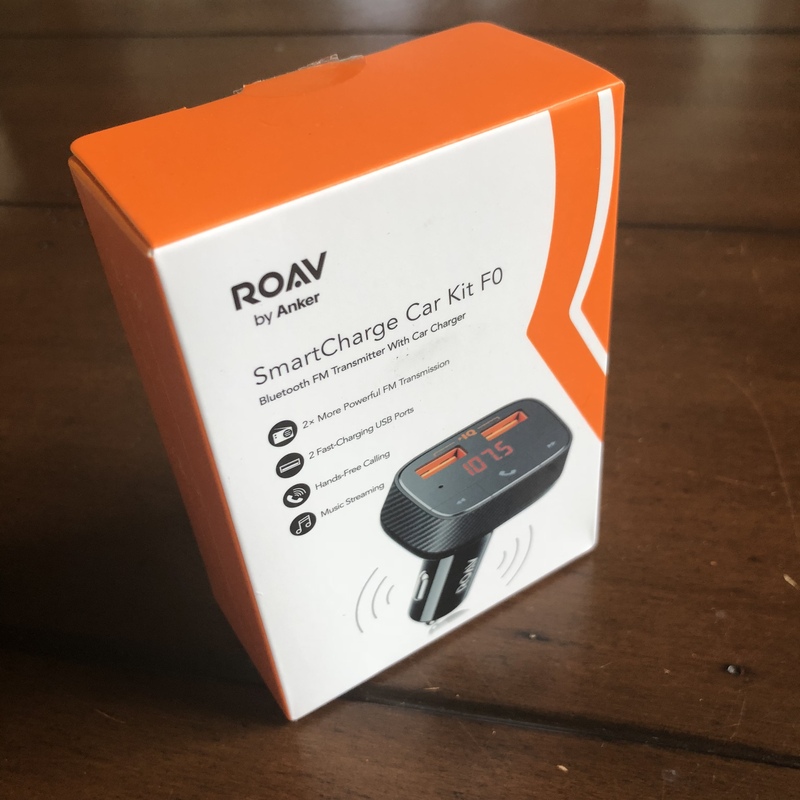 I was recently allowed to test the Roav SmartCharge F0 FM Transmitter/Bluetooth Receiver/Car Charger and I thought I'd share my experience here (Amazon was not allowing for reviews to be posted on their site). A little bit of background, one of my vehicles has Bluetooth capabilities, however, it is only for phone calls (very bizarre). It's a slight inconvenience to plug the phone in to play music, so I thought I would give this product a try. The product arrived in high-quality packaging. It was easy to open and I was quickly on my way to using it. The product itself is very sharp looking, with some Roav orange accents. I think it will go nicely with most cars on the market. Set up was a breeze. Anker did a nice job with the instructions, as they were very simple to follow. Plug the transmitter into a cigarette outlet, pair it with your phone and you are done. Anker packed a lot of features into this charger. So, it is going to be a little bit bigger than your normal charger, but that's understandable and wasn't an issue for me. As I mentioned before, the main reason why I got this charger was the Bluetooth capability. Unfortunately, this was a bit of a let down for me. Although I did notice a slight loss in sound quality (the bass wasn't as rich), overall I thought it was very good. That is not the reason for my disappointment, rather the music will cut out fairly frequently for a brief moment (half a second). This happens every 30 seconds or so, which makes it too annoying to be used on a regular basis. I'll be sending Anker a separate email to see if there is anything I can do, because it's possible the issue is something I'm doing (or not doing). For what it's worth, I did try multiple channels. The dual USB ports are a nice feature as you can charge multiple devices with high-speed PowerIQ technology. It's FAST! Please note that this product does NOT support Quick Charge. 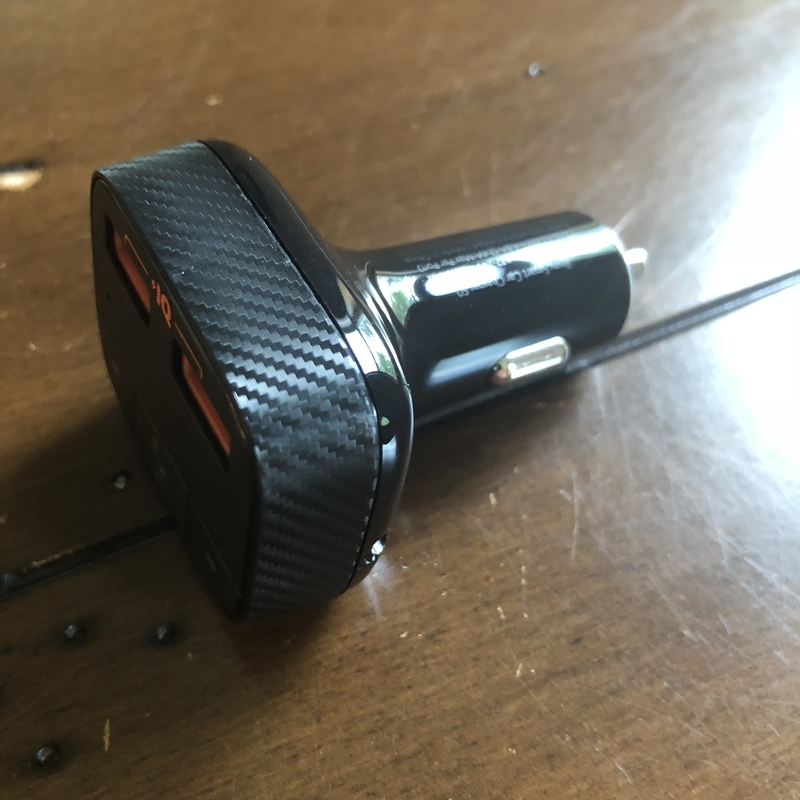 If for whatever reason you prefer an AUX port, the device does have that as well. This isn't useful for me (my car already has one), but it's worth noting. 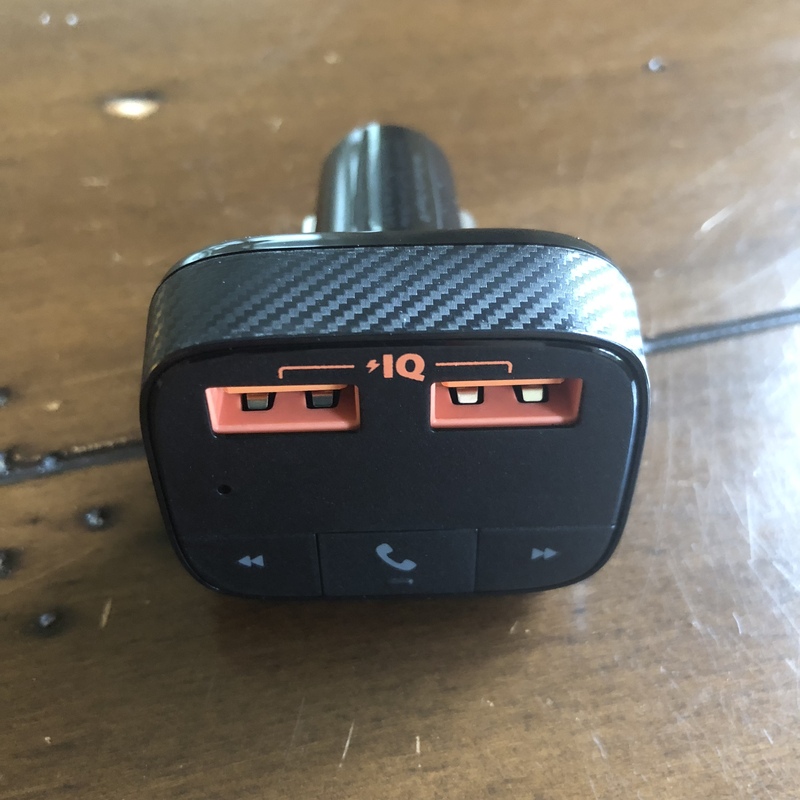 I tested the phone call feature and it worked just as well as the Bluetooth system in my car, even though my cigarette lighter is tucked away a little bit. The microphone still picked up my voice and the other caller couldn't tell the difference. Nice job, Anker! If your car already has Bluetooth, like mine does, you can turn this feature off and just use the transmitter/charger. At the end of the day, this product was a bit of a disappointment for me because the main feature I was looking for didn't work as expected. I'm hopeful the issue is something that can be fixed and will update this post if something changes. If you have questions, feel free to let me know! 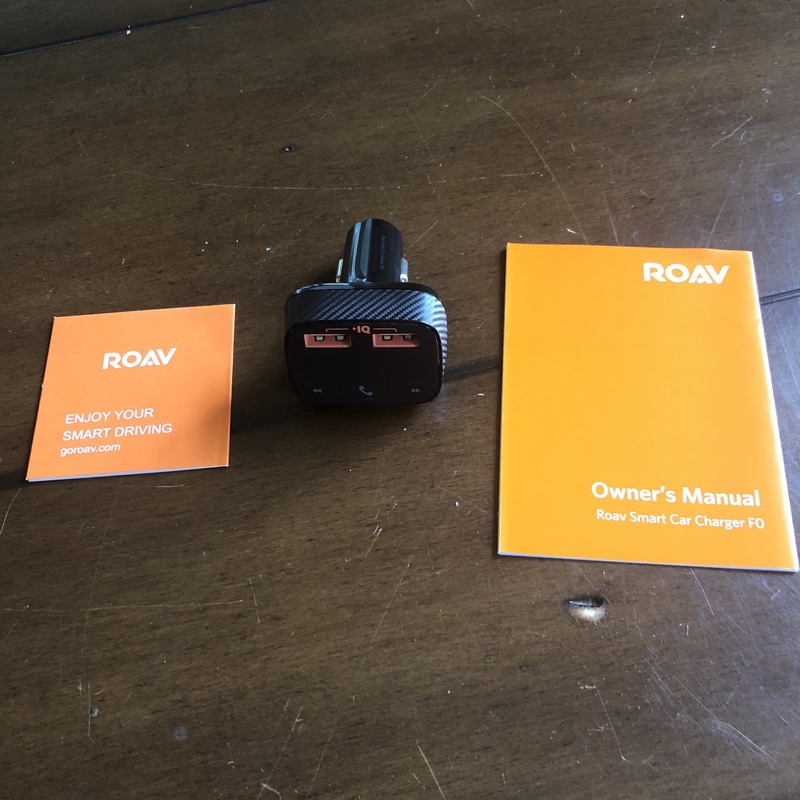 Thanks for your review and pictures. Thanks for the suggestion, I'll try that and report back. I did try a high frequency and a low frequency, but the issue remained. I'm assuming you haven't experienced the same problem? I have the older model and so far no issues. I also have the older model and haven't had issues with the streaming. Only thing that I hope the F0 has that mine doesn't have is, the ability to turn on/off the streaming feature from the get go. Meaning, it stays off until you turn it on. Because it automatically connects to my iPhone when I get in the car and I forget that so I always freak out when I miss a call or notification since my radio is off and no sound is on. I don't use mine to stream as much. Mainly as a charger. So yeah, being able to disable the streaming feature until needed would be great. You @tylermccarville did an excellent job with the review. Thank you for your honesty. I've the cutting in and out issue on several Anker devices. Normally I just reboot the phone. But I do believe its my phone since its an LG G4 and everything on that phone is wonky and failing. I don't have issues on Windows or Apple products.